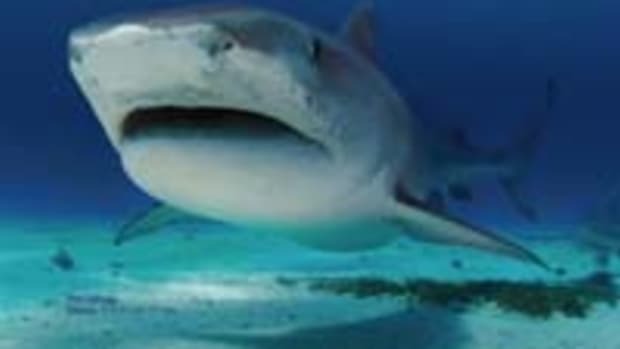 International marine and wildlife conservation artists Guy Harvey and Wyland join with renown scuba diver and wildlife photographer Jim Abernathy to showcase "This is Your Ocean: Sharks," as the Eco Spotlight feature at the Newport Beach Film Festival, scheduled for April 28-May 5 in California. Director George C. Schellenger takes the audience into the world of sharks through the eyes of Wyland, Harvey and Abernathy in the crystal clear waters of the Bahamas, one of the last shark sanctuaries on earth. The 44-minute documentary depicts sharks in their environment capturing both adventure and passion and providing the audience with face-to-face realism never shown before on film. Click here for a preview video of the documentary.